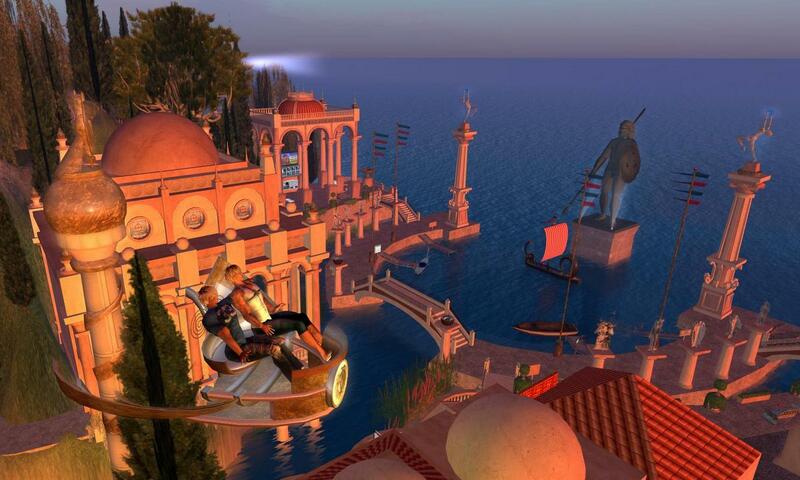 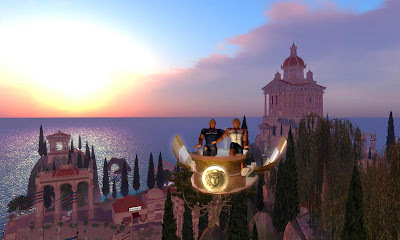 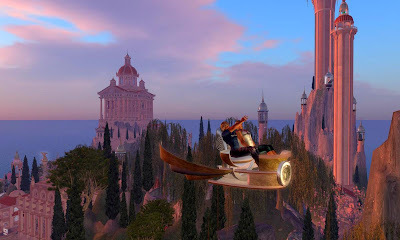 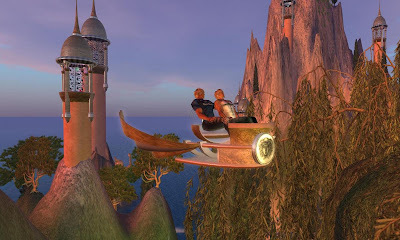 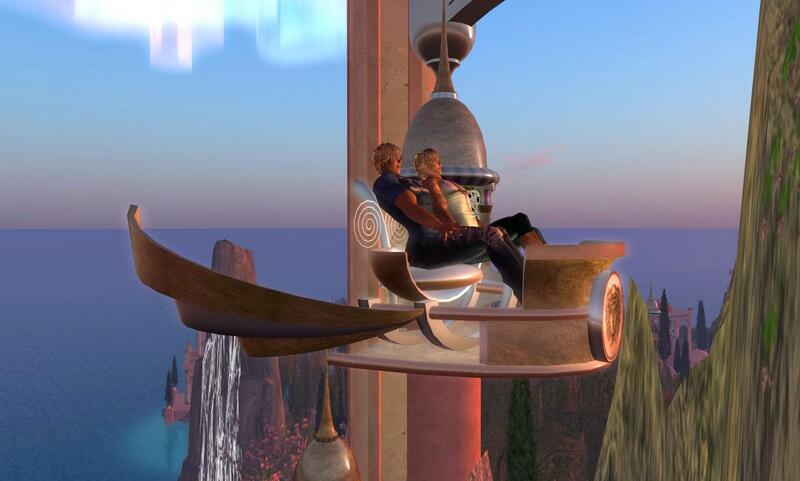 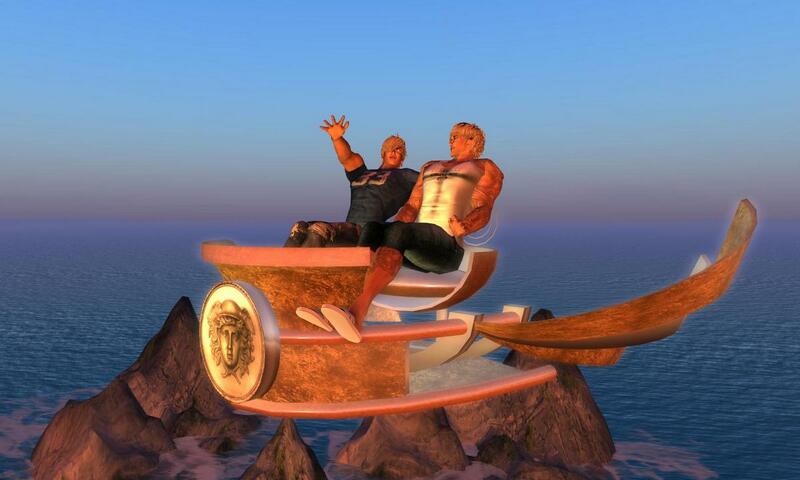 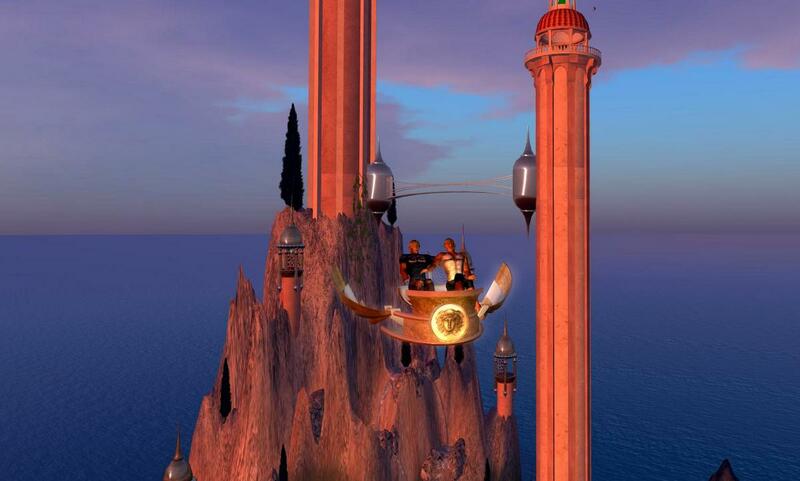 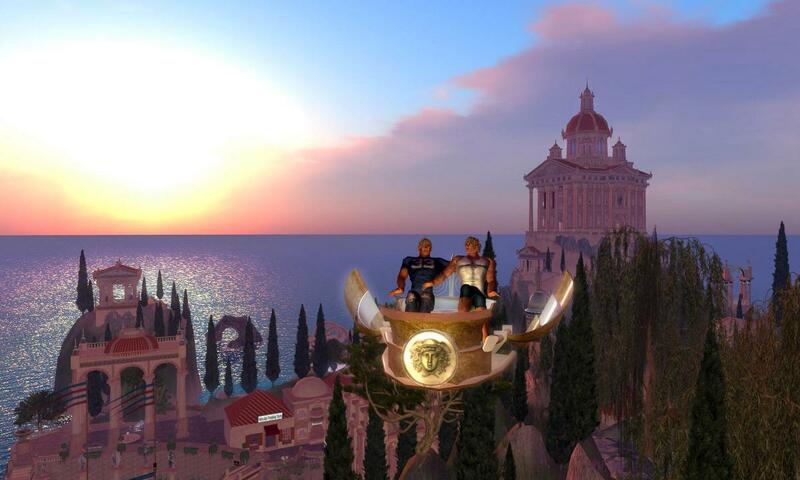 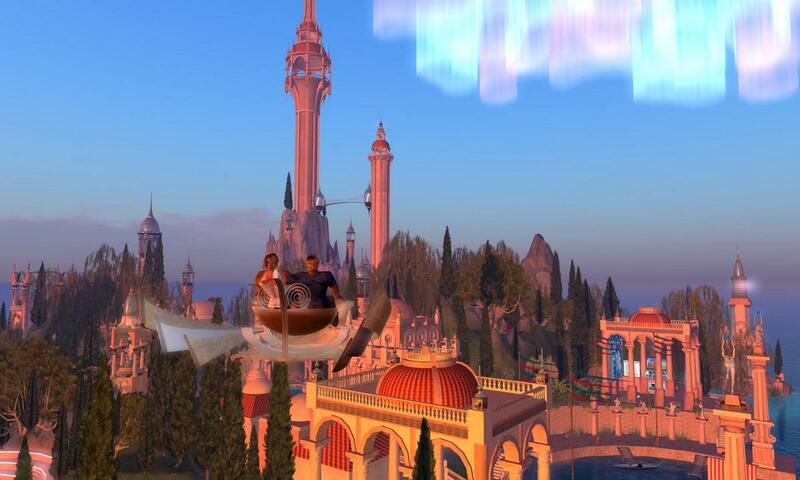 The gorgeous Pillars of Hercules sim has been a classic Second Life destination ever since it's inception in 2009. You can take two gondola tours. The first is a traditional boat tour which allows you to see the gorgeous builds from sea level. The second, shown here, is an incredible flying gondola tour which puts you way up in the sky to see this amazing build from an aviator's perspective. 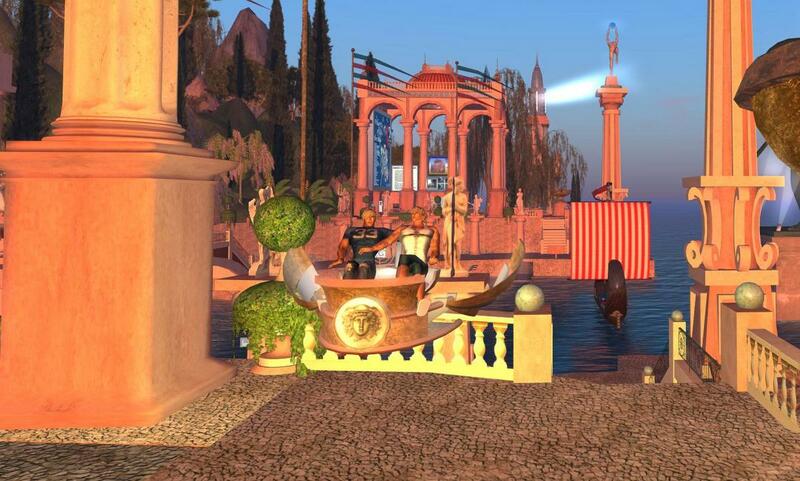 Although mouselook is recommenced, I used a traditional camera view to take these images. 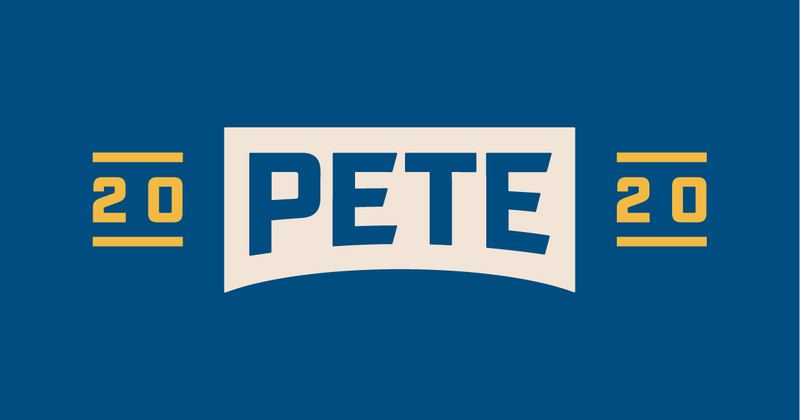 Highly recommended for a visit.